A representative of the Syrian Democratic Forces (SDF) has told Sputnik Turkey that the SDF has launched a large-scale three-pronged offensive to liberate Syria’s third-largest city Raqqa, which has been the ‘capital’ city of Daesh terrorists for over 2.5 years. Syrian Democratic Forces (SDF) on Tuesday began a massive three-pronged offensive on Raqqa, Daesh the self-proclaimed capital in Syria and the third-largest city in the country. 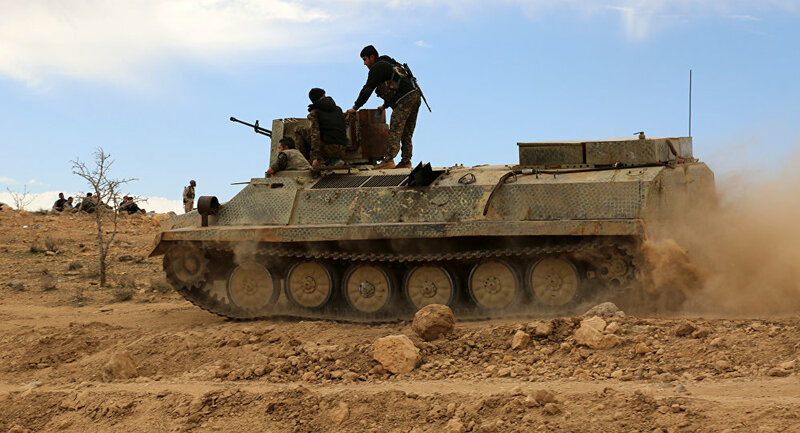 The offensive began simultaneously from three flanks under the command of Ehrar Rakka and Liva Tahrir units which are comprised of Raqqa residents and are part of the SDF. Up to 12,000 fighters are reported to be taking part in the operation. — Hassan Ridha (@sayed_ridha) 24 мая 2016 г. ​Tackır Kobani, a representative of SDF has told Sputnik that, part of the operation, the forces are launching an offensive from Eyn İssa settlement under aerial coverage of the US-led anti-terrorist coalition forces, which are conducting massive air strikes on Daesh positions in the region. Syrian Democratic Forces are also conducting air strikes on Daesh positions in the north of Raqqa, using heavy armaments. Other reports suggest that fighters of the Kurdish People's Protection Units (YPG) are also taking part in the operation. Earlier on Monday, member of political division of the Social-Nationalist Party of Syria, Tariq al-Ahmad geopolitically compared the planned liberation of Raqqa to the capture of Berlin during World War II. “In general, I believe that Raqqa is symbolic due to the presence of Daesh and it is declared as their capital by them. Taking back Raqqa can be compared with the capture of Berlin in World War II. I say this in a political and geopolitical sense,” al-Ahmad said.